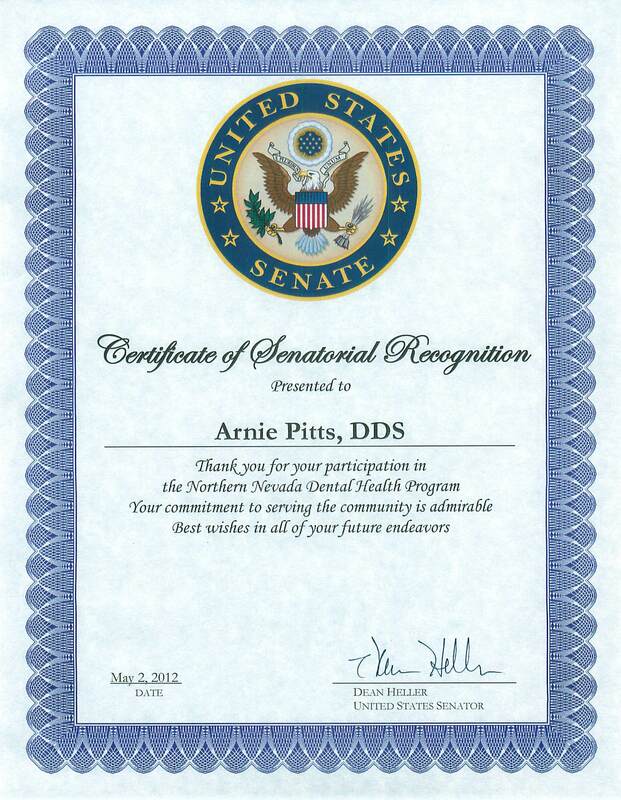 Certificates of Recognition | It's the Pitts! 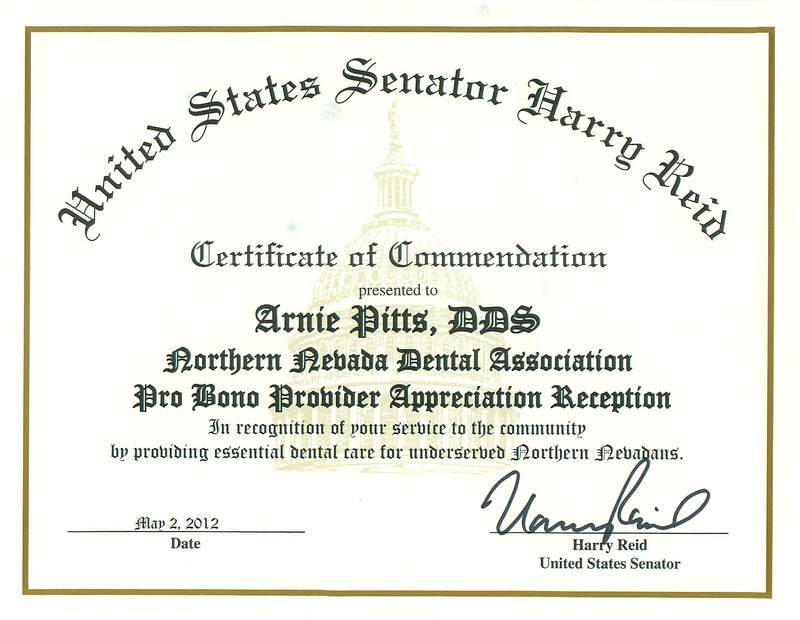 Thank you Dr Arnie Pitts and Dr Mark Handelin for your continued dedication and support to children in the Northern Nevada community. 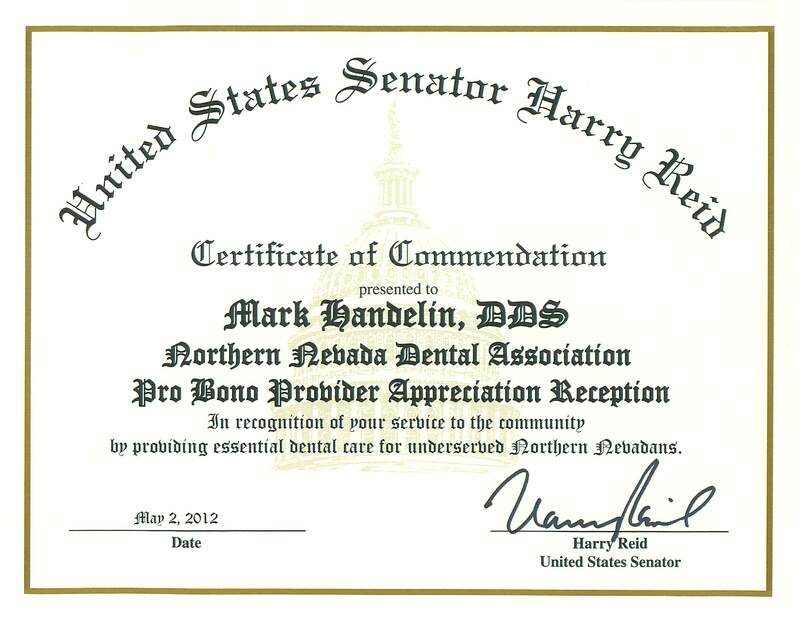 Thru the Northern Nevada Dental Health Program the Dr’s have helped many children who other wise would be unable to obtain dental care. 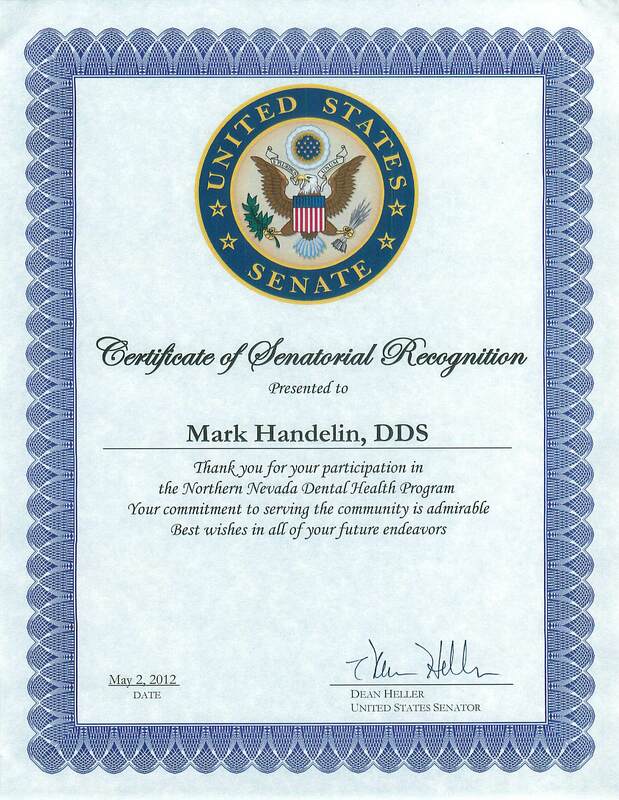 What an accomplishment!! !